The studio was founded in August 16, 2007 to provide professional technical service projects include: rubber, rubber, rubber composition analysis of project development, study on raw materials, rubber compound production and a series of related extension. Set up in 2010 in Hebei rubber factory, on the mixing amount was 20T. laboratory synchronous detection ensure mix quality. At present, domestic service, Shanghai, Guangdong radiation: Beijing, Hainan, Zhejiang, Jiangsu, Shandong, Hebei, Fujian, Xinjiang, Anhui, Henan, Jiangxi, Sichuan, Chongqing, Jilin, Liaoning, Inner Mongolia, Shanxi and other domestic rubber industry in the developed areas. Foreign: Japan, Russia, South Korea, the United States of America, Germany, Southeast Asia, India, Malaysia and other countries. Products include: car tires, car tires, electric force solid tire, conveyor belt, V-belt, preparation, mixing, rubber hose, rubber air shuttle wheel, rubber dam, rubber roller, rubber plate, rubber sports track, rubber floor, dust cover, rubber, conductive rubber (silicone, flame retardant, antistatic) rubber products, quick setting rubber asphalt waterproof coating (spray), waterproof, water swelling and oil swelling rubber ring, car doors and windows sealing strip (foam, flame retardant, solid bar), seal (O - ring, seal), rubber soft connection, cable, ceramic silicone, rubber conveyor belt, rubber hose, rubber band, rubber boots, rubber, rubber tiles, rubber cup, sealing strip, latex gloves, condoms, balloons. Adhesive: Rubber (neoprene, silica gel), SBS adhesive, architectural glass, hollow glass glue adhesive, polyurethane adhesive, acrylic adhesive. Coating: building waterproof paint, furniture paint, automobile paint etc.! Including: natural latex rubber, nitrile rubber, neoprene latex, natural rubber (NR), isoprene rubber (IR), polybutadiene rubber (BR), styrene butadiene rubber (SBR), nitrile butadiene rubber (NBR), hydrogenated nitrile rubber (HNBR), chloroprene rubber (CR), Ding Ji (IIR), rubber Ding Ji (CIIR), chlorinated rubber bromide (BIIR), two Ding Ji rubber EPDM rubber (EPM), Yuan Yibing three (EPDM), rubber, polysulfide rubber, acrylic rubber (ACM), PVC and rubber (CM), methyl vinyl silicone rubber, silicone RTV (liquid of one component, two-component), fluoride rubber (type 23, type 26), polyether rubber, PTFE, epichlorohydrin rubber, thermoplastic elastomer TPR\TPV\TPE. The design and production of rubber products above, formula, process, equipment integration services, turnkey projects! The studio has technical team of nearly 30 people, all engaged in rubber research and development work of the old professors and scholars, research institutions, professor invited to visit and give guidance. 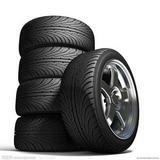 Focus on rubber formula, raw materials research and product design. The studio on Beijing rubber plastic products factory, Rubber Research Institute, University of chemical technology and other rubber carrier research institutes, focusing on rubber technology updates, product upgrades, energy-saving emission reduction. Welcome new and old friends to visit, technical interaction!